It was a warm day in April in 2118, when your great-great-grandchild found your diary. The one you wrote in the late 20th century. Discovering your personal journal was the most exciting find yet. Oh, this was a rare treasure indeed. Finally, they can get a first-hand account of your life. Of your challenges, triumphs and general daily life. Will this be a juicy family drama, an outpouring of big dreams or an account of the weather? Most importantly, is this the version of your story that you want to leave behind? 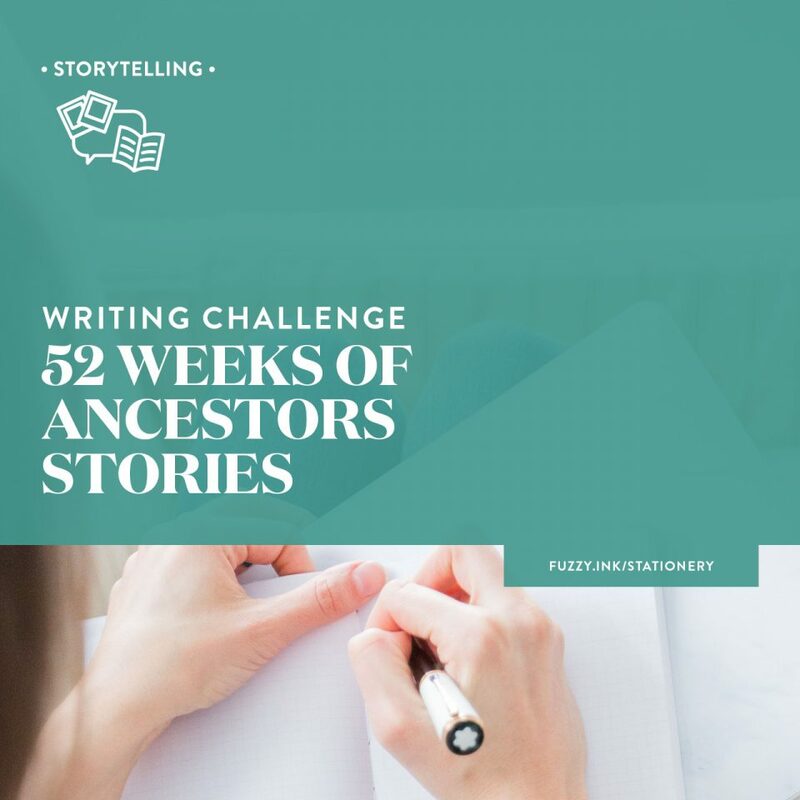 Who wouldn’t love to find a diary or letters written by their great-great-grandparents? Or any other ancestor for that matter. What an amazing opportunity! The chance to step into their words and witness their life, and what or who mattered the most to them. Whether it’s heart wrenching or joyful, it is a powerful insight into our history. We can learn as much about people from how they write as we can from the story they are telling. And that is how your descendants will feel too. So, what is your story saying? Did you keep journals when you were younger? I have a detailed written account of my life from 13 to 25. It’s cringe-worthy reading about running the gauntlet of teenage emotions. My descendants do not need to read fifty pages about who I had a crush on when I was 14! There is some excellent stuff in my diaries as well. Like the story from the time I was on holiday in the Northern Territory. I met a guy who’d recently finished work on a movie about three drag queens in a bus. In my eloquence, I sum this up as ‘that will be a flop’. The movie? It was ‘Priscilla, Queen of the Desert’ which was a big success. Or my thoughts on the Gulf War when it began. While these aren’t earth-shattering revelations, they do provide insight into my life. Insight into the news and other events that had an impact on the areas where I was living. 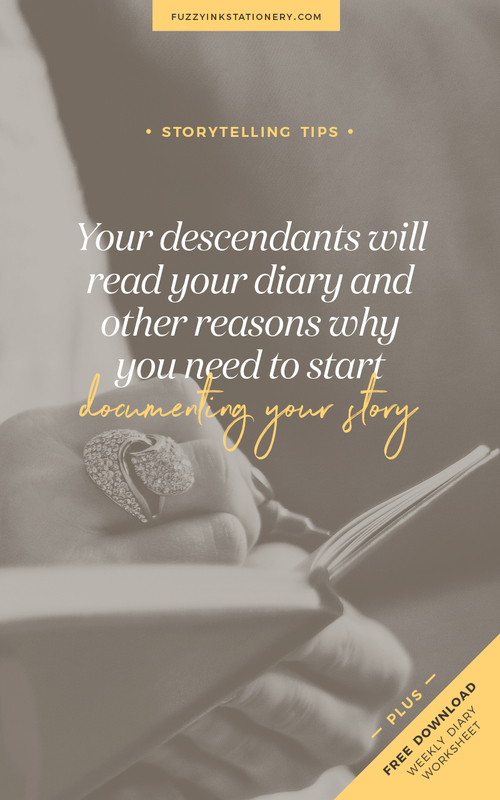 Do I want my descendants reading my diaries? Absolutely not. But nor can I bring myself to destroy them. After all, writing in them was a daily ritual for 12 years of my life. But once my time here is up, those diaries are fair game. If you received 12 years of journals from one of your ancestors, you would read them, wouldn’t you? I know I would. 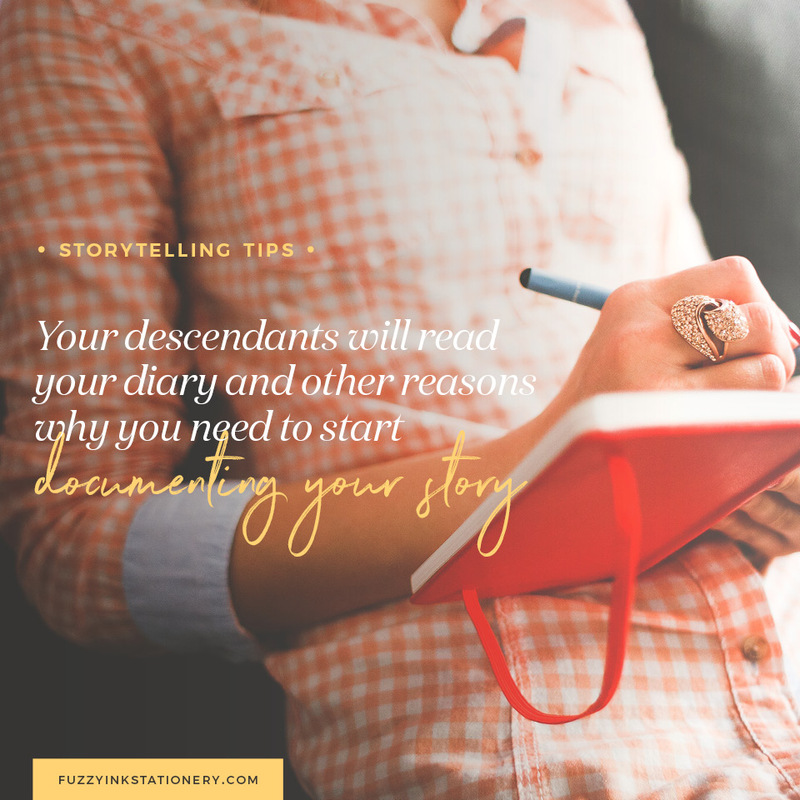 I’ve read every ancestor authored letter, postcard, and exercise book that has come my way. Would my ancestors have wanted me to read their personal letters and journals? I doubt it. In my family, it is a long-held belief that secrets were secret for a reason, and should remain that way. Or maybe this doesn’t apply to you because you never kept a diary and who writes letters anymore? It doesn’t have to be a written journal. Every word you write is telling a part of your story. It can be your Facebook feed, blog, posts in an online forum, or your email inbox. A story will be left behind that may be neither in context or what you want to say. This great cartoon from Shoebox sums it up better than I can with words. So, what story are you telling? Think how fantastic it would be if you had a binder of notes written by your great-great-grandmother. One where she told you all the stories in her own words. As well as talking about the unknown people in the family photos, her children’s names, and so much more. It would be almost as good as having a conversation with her, right? You can give that gift to your descendants. By documenting your life as you go then, you are creating that conversation. Plus starting now means you won’t have to remember everything in 20 or 30 years. Therefore, you are the best person to document your story in whatever format you choose. 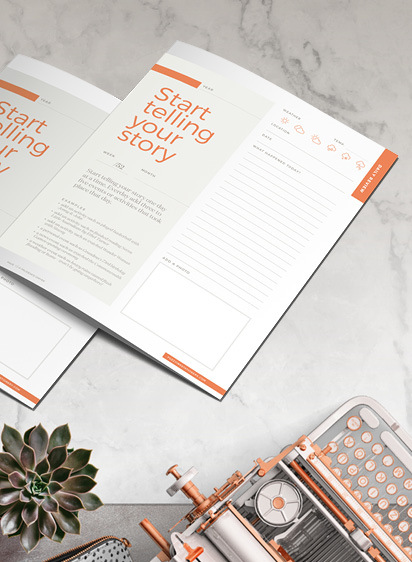 Rather than create a traditional diary you could create either a video or audio series. As well as a set of binders, trading cards or bookmarks. It doesn’t mean that you have to stop everything you do right now. Keep writing the blog, posting on Facebook and sharing photos via Instagram. Because your descendants will love the treasure trove of information. I often wish to discover such a rich deposit of facts, photos and stories. DAILY: Whenever possible, take a photo of one of those things. MONTHLY: On the first (or near enough), write up a review of everything that happened in the preceding month. Keeping a daily or weekly diary makes this simple as you can start there, then add anything else relevant. Include the best of the regular photos that sum up the month. ANNUALLY: Collate the stories and photos from the previous twelve months into one document. This document will be at least 12 pages, but it’s usually longer. We make time for the things that matter. You don’t have to write long paragraphs or pages every day. The daily commitment only requires a few quick notes that will remind you of the event. Take photos on your phone and upload to the cloud or your computer so you can rename them. So, at the end of each year, I have documented one more chapter of my story. These sections don’t have to be a full calendar year. Instead, you may want to create a part every three or six months. TIP: Add some audio. Try recording parts of your story as a voice memo. It might be the daily tips or a reading of the monthly summary. What about those old diaries? Create scrapbook pages using only the parts of the handwritten page that you want to share. You can also include any tickets, photos, flyers etc. that you collected on the way. Type up the diaries to create a hard copy or electronic book. Remember to leave out the bits that you don’t want to share! Rewrite and summarise your story. 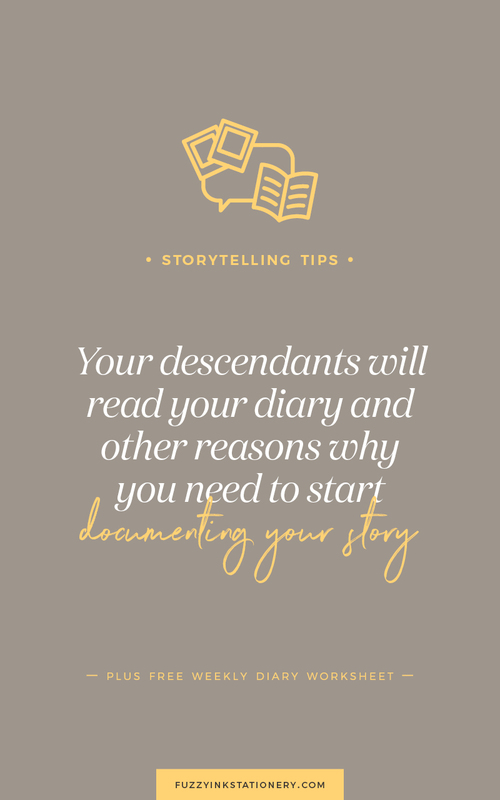 You can share all the exciting adventures, including excerpts from your diary. But you may want to leave out the celebrity crushes! Now I’d love to hear from you your thoughts on this topic. 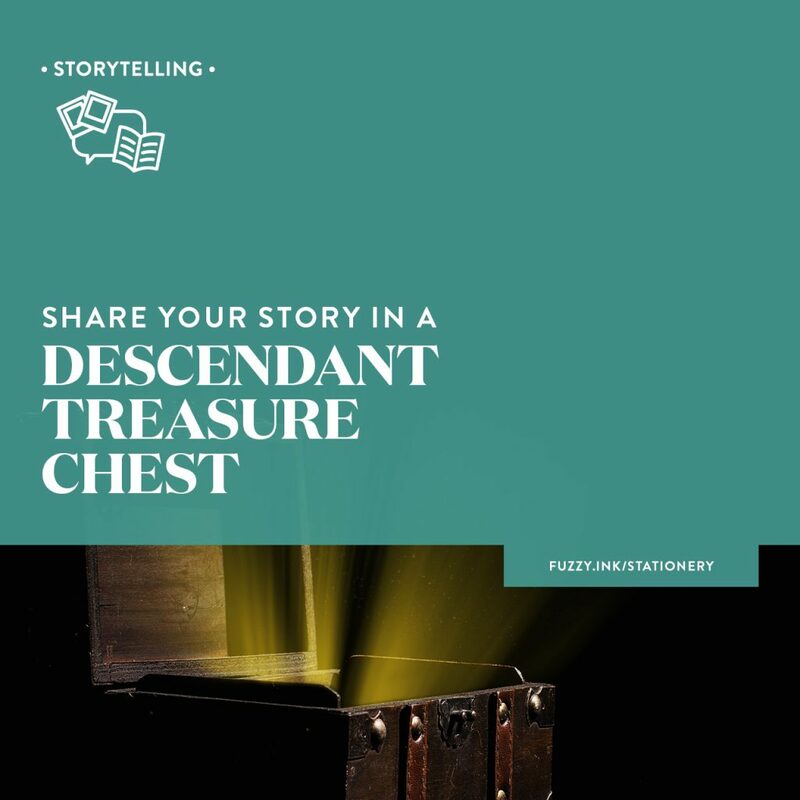 What is the number one thing you would want your descendants to know about your life? What Will You Tell Your Descendants? Brilliant idea.. absolutely brilliant.. Love the helpful print out that goes with this post. Thank you! Hi Shary – FIVE family gatherings? Oh my goodness! I’ve only ever planned one and thought that was exhausting! How awesome to have ‘countless boxes’ of family history though. I’m green with envy about that for sure. I have one box and it’s not full… yet. 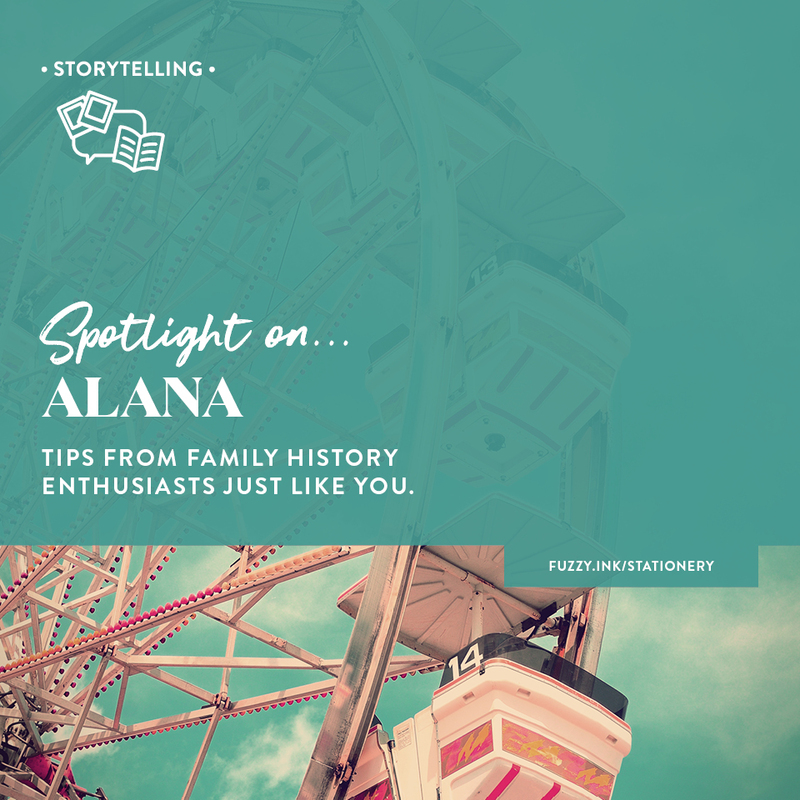 I hope some of the ideas and templates help you create some ‘shareables’ and get that next generation interested in their family history.